The economy has been growing at an astronomical speed since President Trump took control of the wheel, unemployment is at an all time low, food stamp usage has decreased to levels not seen since the 20th century, and the stock market bull looks set to be a matador killer. Nothing is going according to plan for the Deep State, whose actors want to crash the global economy and usher in a technocratic dark age where the fiefs are subjugated by a globalist blood cult. It was under President Obama's watch that North Korea developed nukes, and his lack of resolve has led us to where we are now: President Trump has to actively direct the Central Intelligence Agency in sabotaging the biggest threat to the free world. However, the job isn't easy, as President Trump faces saboteurs from within the deepest trenches of the federal government. For quite some decades now, the Deep State has usurped American democracy, officially declaring its presence to the world with the assassination of John F. Kennedy. President Eisenhower was the only one brave enough to warn us about what was coming, and now we stand at one of the major crossroads in human history, where the very survival of our species may be determined. As the tables turn on democrats with revelations that they sold out our uranium supply to Moscow, it becomes evidently clear that President Trump is the only man who can help take our country back from the backstabbing globalists who want to give away our republic. 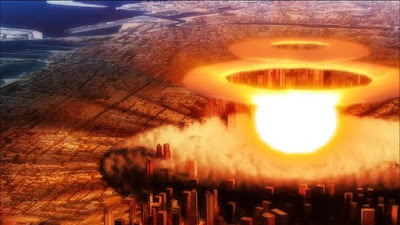 At this very moment, agents of the Deep State are working to provide Kim Jong-eun with the means to blow Washington DC up, taking out our leadership and unleashing World War III. The danger to our nation has never been greater.